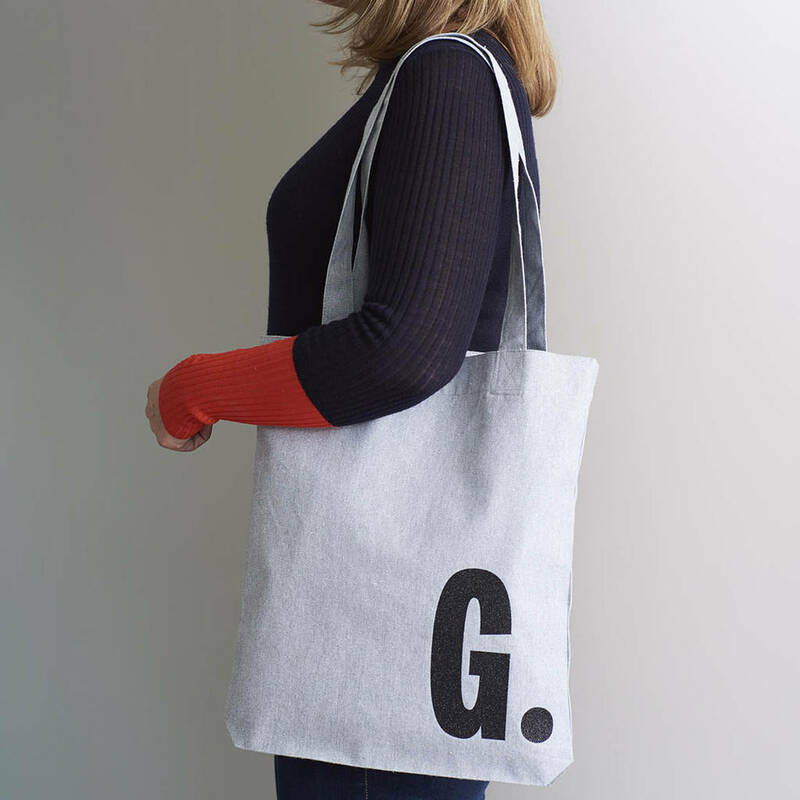 A fabulous heather grey tote bag personalised with the initial of your choice in black glitter vinyl. A brilliant gift for the discerning shopper as well as a everyday accessory for the environmentally conscious fashionista! Our heather bag is ethically produced and hand printed in our London studio. It is big enough for a grocery shop but small enough to be used as an everyday shopper bag. 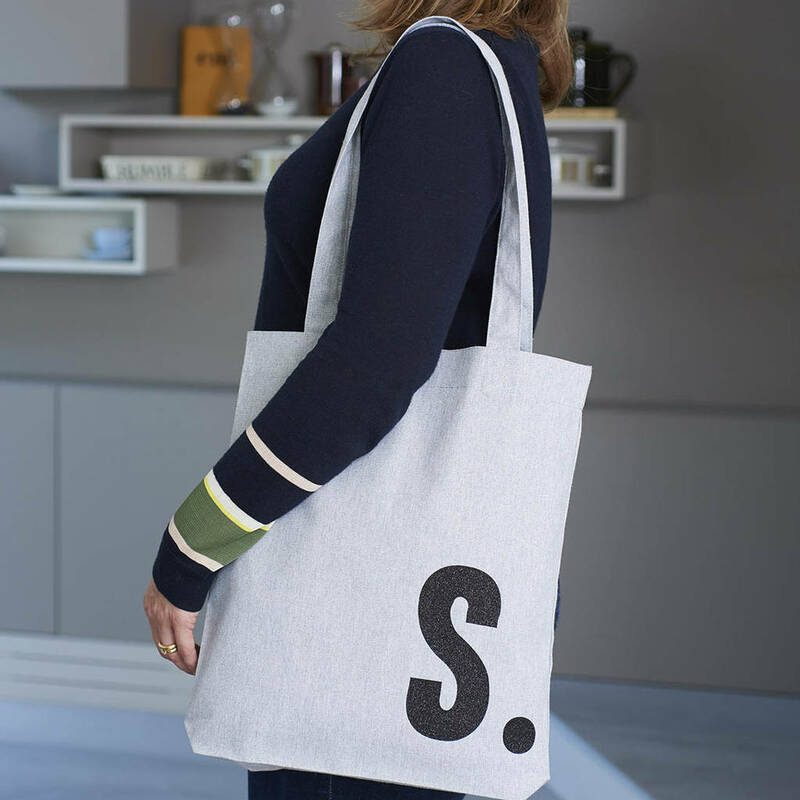 You can personalise your tote bag with the initial (or number) of your choice, simply specify this when you order. 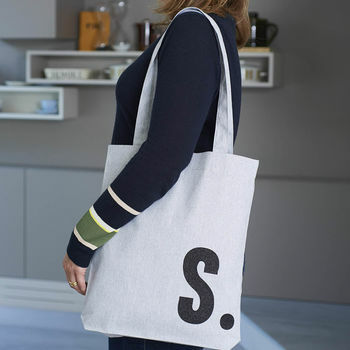 We'll add a full stop after the initial to give the bag a unique and modern design touch. The initial is created using a high quality black glitter finish which won't ever fade or crack. 100% recycled (80% recycled cotton, 20% recycled polyester), handprinted. Copyright © Harrow & Green 2017. All rights reserved.